Here’s my second new Christmas decoration, this time it’s a crafty one! 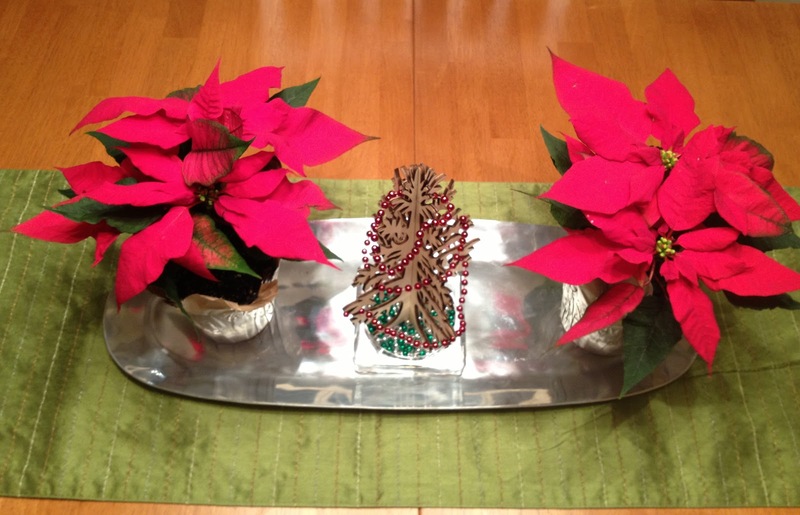 I always seem to focus on our kitchen table centerpiece as something I want to change up every year for Christmas. 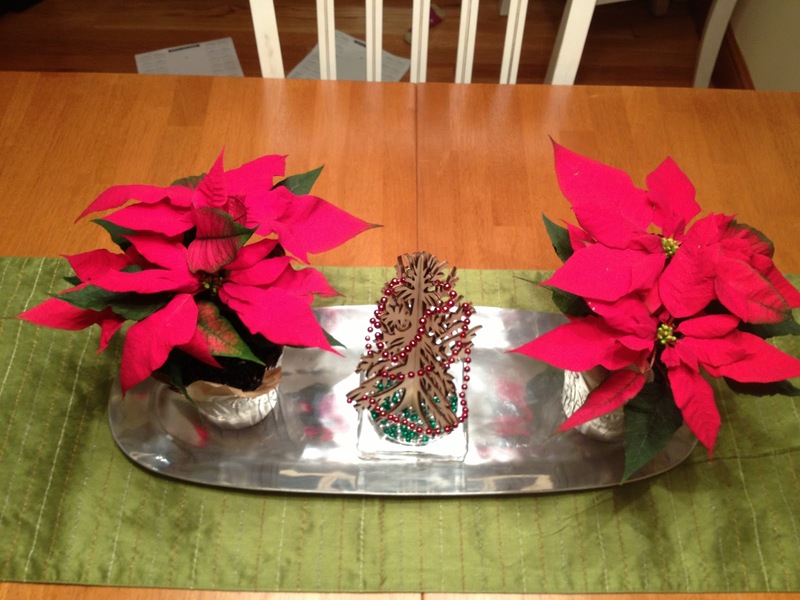 Maybe because we never eat at the table (we have an island we sit at for meals) so the centerpiece is always there. Or maybe because it’s so easily edited with a different candle or a poinsettia. 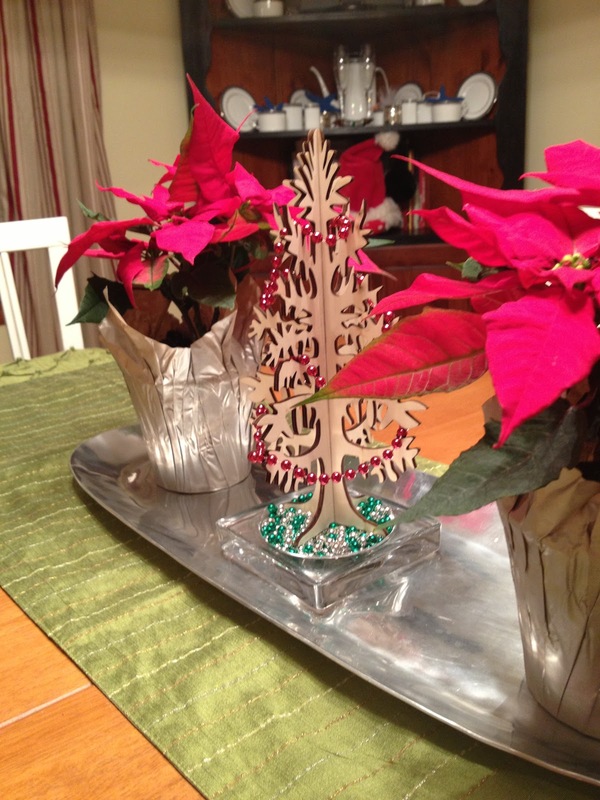 Well this year, I found this sweet little tree at West Elm and based the table decor around it. 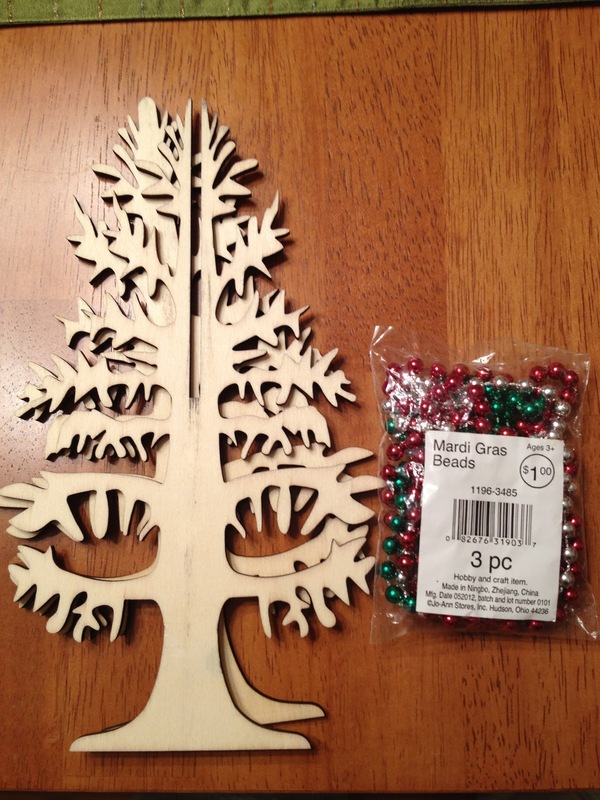 I started by making a garland for the tree using mini mardi gras beads in Christmas colors that I found Jo-Ann Fabrics for $1. 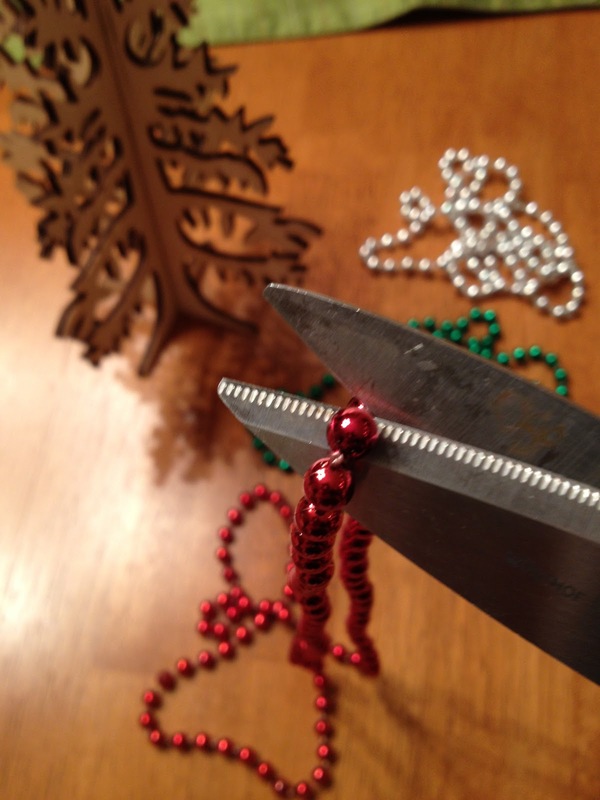 I just cut the red beads in half and trimmed the tree. Then I cut each bead apart from the silver and green necklaces. 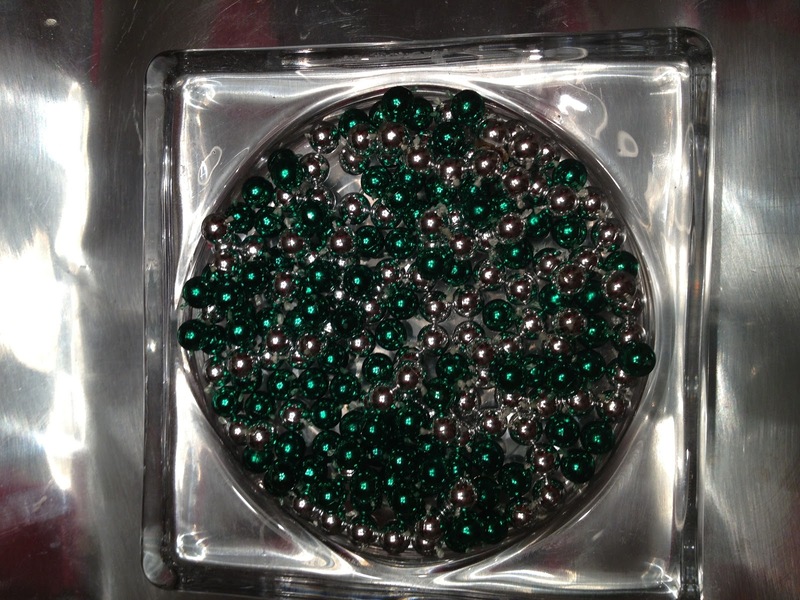 Then I put the silver and green beads in the bottom of one of those glass holders for a pillar candle. 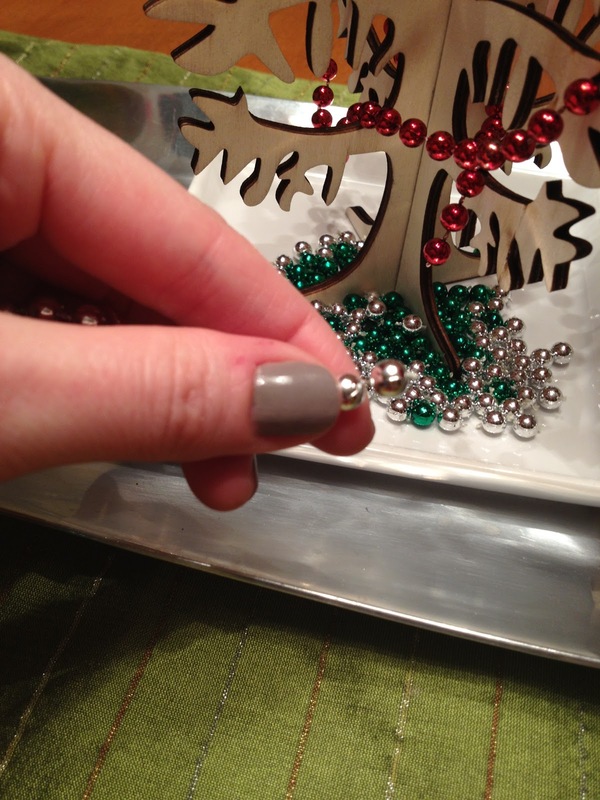 Finally, I sat the tree on top of the beads, put it on a silver tray I already had with a poinsettia on either side. 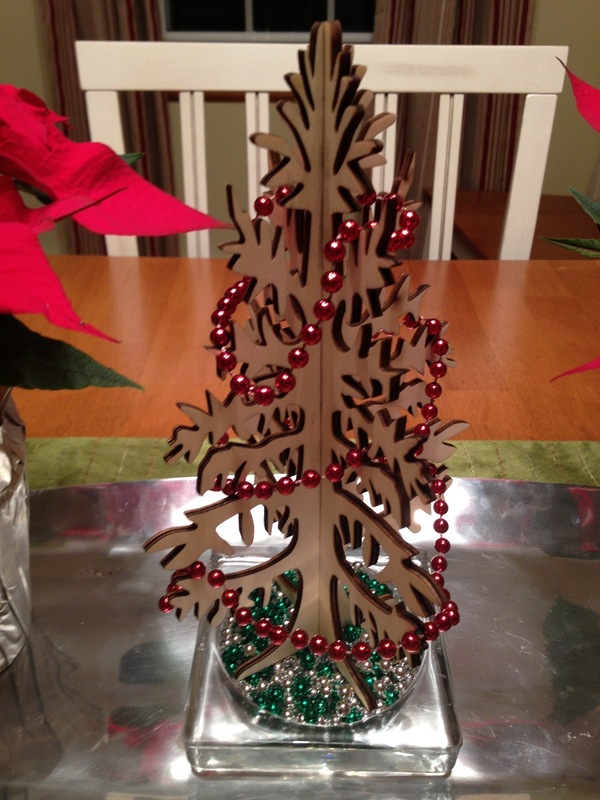 Such an adorable Christmas craft, thanks for posting!